Evergreen tree. Best if protected from frost. 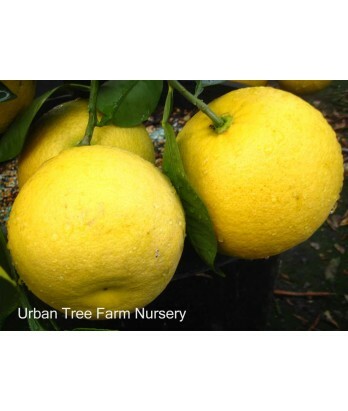 Not as tart as other grapefruits, this variety is far sweeter than others. When ripe, has a golden yellow peel with a thick rind. Flesh is tender, juicy, seedless and sweet with a large hollow core. All citrus are heavy feeders. Regular water needs in well-drained soil once established.